AB InBev said it would up spend on sales and marketing this year to boost its top global beer brands and get younger consumers to see beer in "new and fresh ways". The global brewer unveiled its plans during its full year results for 2015, reporting revenue growth of 6.3%. Revenues of its three global brands grew by 12.6% with Budweiser growing by 7.6%, Stella Artois by 12.5% and Corona by 23%. The group is also focusing on raising the perception and relevance of its core beers, which deliver the majority of volume and revenue. It is targeting young adults of legal drinking age by connecting core brands with millennials in such areas as music, sports, food and film. Core to its marketing are plans to premiumise and invigorate the category by creating more excitement and aspiration around beer, especially among this younger set of consumers. It said: "The development of the craft category in the US, and increasingly around the world, is a prime example of how new vigour and energy can be brought to the consumer’s experience with beer." It recently purchased the London-based Camden Town Brewery to enter the Uk craft beer market. The company has already built a position in the craft space with acquisitions in the US, Mexico, Canada, Colombia and Brazil. 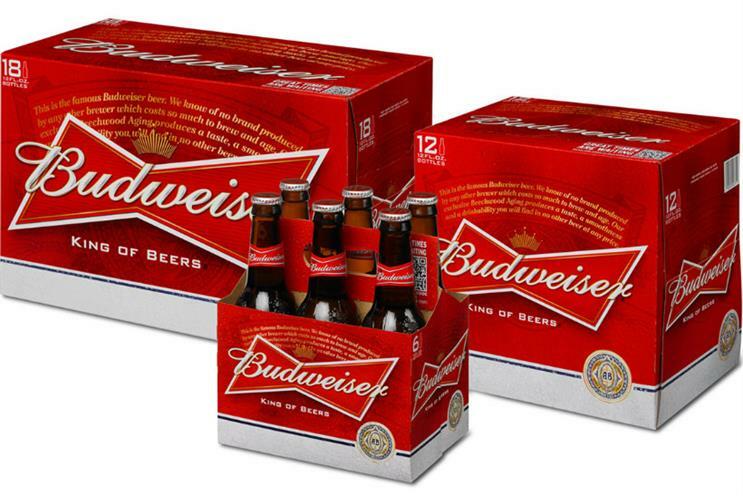 AB InBev said it also plans to get consumers to see beer in a new and fresh way. This plan has seen the creation of a 'Disruptive Growth' team to explore opportunities beyond the traditional areas of brands, brewing or marketing campaigns. The team has identified a number of initiatives that they claim "could eventually become game-changers in the years ahead". In one case digital solutions and craft e-commerce platforms that allow consumers to order beer for quick delivery are being piloted in several countries, including Mexico, Brazil and Canada. Jason Warner, BU President, AB InBev UK and Ireland: "As a key market for AB InBev, where all three of our company’s global beer brands are present and performing well, we are excited for 2016 as we continue to invest and innovate, providing ongoing value for our customers and consumers."